The Celtic Media Festival has revealed the nominees for the prestigious Torc Awards for Excellence, including several nominations for Northern Ireland talent. The winners are set to be revealed at the 39th Festival between 2-4 May in Llanelli, Wales. Nominees from across the U.K., Ireland and Europe will compete across 23 award categories, including arts, comedy, current affairs, drama, factual, sport, radio, and more. Entries for the 2018 Awards surpassed the 500 mark, with the festival consistently attracting submissions from across the range of Celtic nations and regions. 10 separate juries undertook 16 meetings over 250 hours of listening and viewing to produce a shortlist of the very best in Celtic productions in the past year. 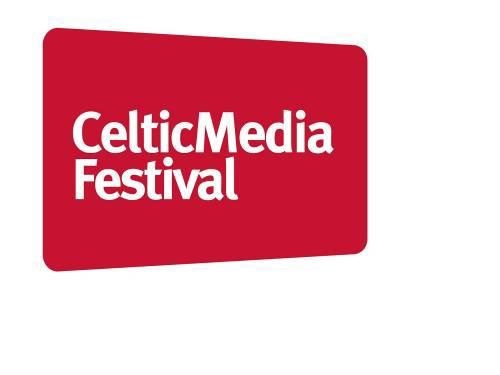 Single Documentary, the most entered category at every Celtic Media Festival, had over 70 entries this year with 13 nominations covering a multitude of subjects. Wave Goodbye To Dinosaurs, which received funding support from Northern Ireland Screen via Invest NI, is the extraordinary story of the Northern Ireland Women’s Coalition, a cross-community party formed in 1996 by local working and middle class women. The women ran a door-to-door campaign to win two seats at the historic peace talks, which culminated in the Good Friday Agreement. In Drama Series, critically acclaimed An Klondike (TG4), is the first Western to be made in Ireland and tells the story of the Connolly Brothers; three Irish emigrants who travel from Montana to the Yukon during the Klondike gold rush of the 1890’s in the hope of striking it rich. An Klondike will go up against crime drama Bang (S4C), dark comic drama Can’t Cope Won’t Cope (RTÉ) and Dalia, a modista (TVG), Fin ar Bed (France Télévisions) and The Replacement (BBC One). Several of the projects nominated at this year’s awards have received funding support from Northern Ireland Screen’s Irish Language Broadcast Fund (ILBF) including animated film An Béal Bocht. The animation, which was created by Raw Nerve Productions, portrays the life story of a young Gael reflecting on his life from Sligo Gaol. Documentary drama Rocky Ros Muc, which was directed and produced by Belfast based production company Below the Radar, is nominated in the Sports Documentary category. The film tells the story of world-class boxer Sean Mannion who left the Irish-speaking village of Ros Muc in Galway, for Boston, in the 1970s. And finally, Irish language radio station Raidió Fáilte has received a nomination in the Radio Station of the Year category. A list of the Northern Ireland talent nominated can be found below. A full list of the nominees can be found here.